Mobile Health Computing: Kindle (with advertising) for less, or original Kindle? Kindle (with advertising) for less, or original Kindle? 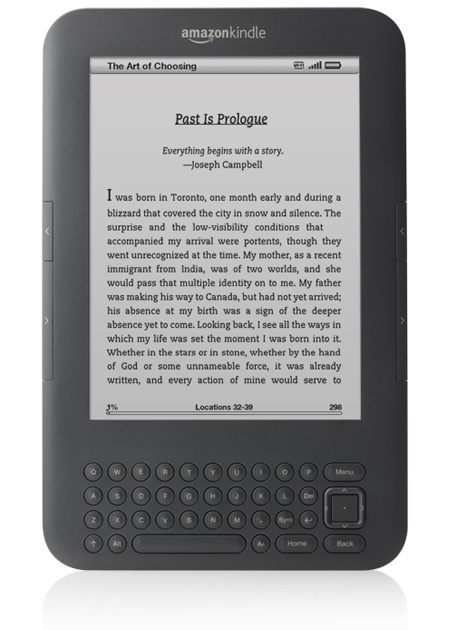 I've been speaking with several people who are in the market for an Amazon Kindle . You can get the Kindle "with Special Offers" (also known as advertising) for $114, or the regular Kindle for $139. Which would you get? Will all future e-Book readers include advertising? The Kindle now offers features like book sharing and you'll soon have the ability to virtually "check out a book" from a library (library lending). Anyone try the WebKit-based browser on the Kindle? The browser is pretty abysmal -- you only want to use it in desperate circumstances. As for the price, the difference between standard and ad supported isn't enough to convince me to go for something that'll be sporting a corporate logo everytime I pick it up. I'm perfectly happy with my wifi Kindle sans ads.